Searching for a job is a task that many do not enjoy. There are many places to search and apply for employment online and offline. Keeping organized is one key to a successful job search. A job search log will help keep your search in order. A job search is an important task that should not be taken lightly. 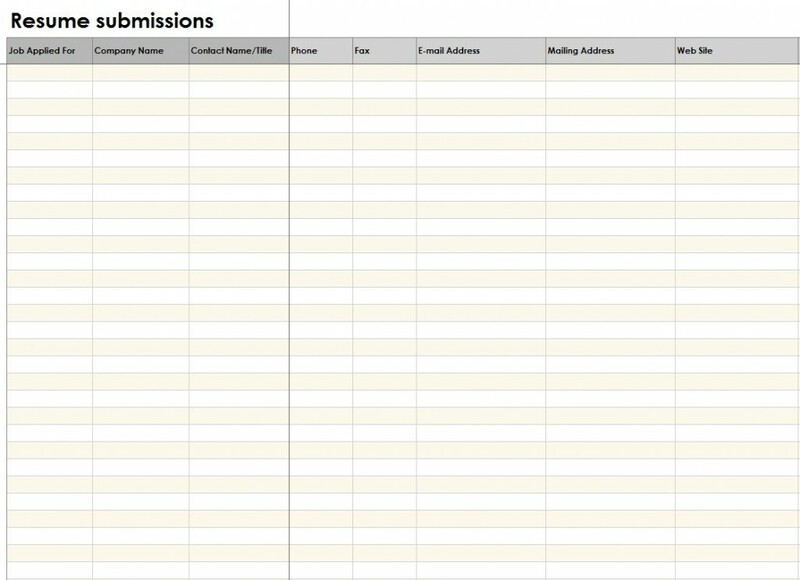 Using this log, you can be sure to not duplicate applications, miss important interviews and deadlines for submitting information. This is a simple, easy to use template to help with any job search. To use this job search log simply click the link and download the file to your computer. Open the file with Microsoft Excel or equivalent program. Fill in the required information for each job or job service that you have applied to. Once the job search log is filled out, it is simple to track your activity. Searching for a job becomes a lot easier when you use a job search log. Keeping track of the jobs you apply for can be a monumental task when you are applying for several jobs daily. It is important to keep track of the who, what, where and when of your job search. You will know at a glance when your interview is scheduled, when you applied and when you should call back to check on your application. With so many online and offline job searching services, a job log keeps track of all your job applications in one convenient place. Using tools to keep organized while searching for a new job is easy with the right tools. Keeping organized will help you land the perfect job.